If you are thinking of building a new home or adding an extension to your existing home, you should consider engaging an independent building consultant. 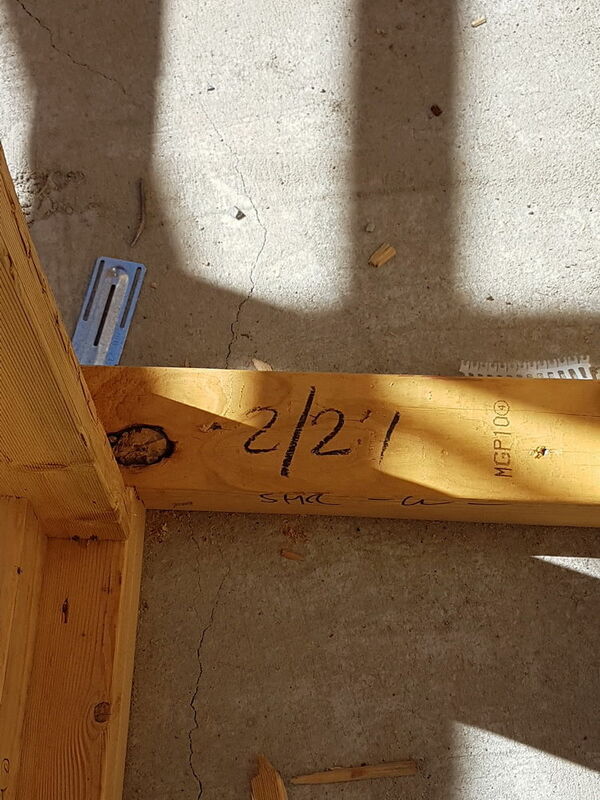 Building inspections at stages will ensure the builder has reached the stage he is claiming. Should there be any outstanding items or defects to be found a report will be prepared and photos provided. This will be sent to you the same day. 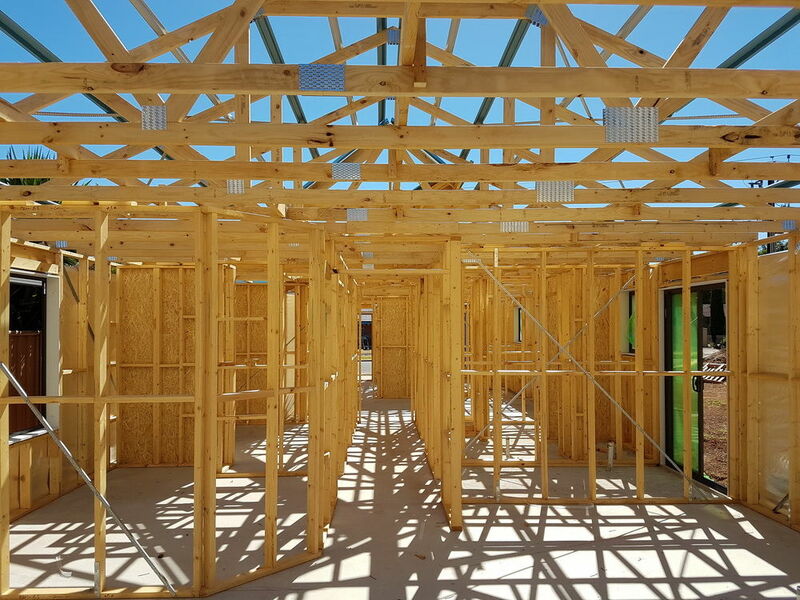 All building work must comply with the Building Code of Australia ('BCA') and associated Australian Standard ('AS') also the Home Building Act allowing for acceptable tolerances. 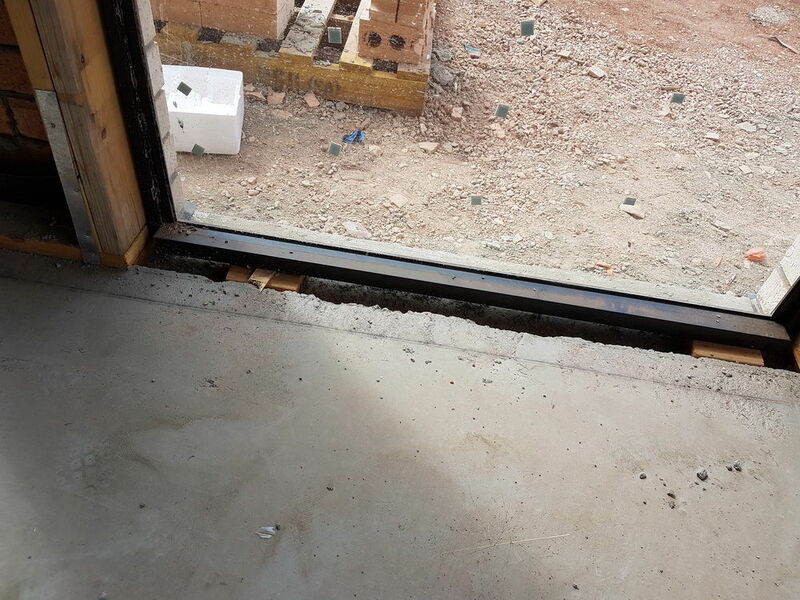 When NO independent inspections are carried out some defects are covered up when progressing to the following stage of construction. It is far too late to start fixing defects at hand over stage. There are many disagreements and disputes during the construction period and we can assist you with any problems you might encounter during the construction of your project. Delays with construction time just causes lost time and money with no winner. A saying that was told to me when I started my building career by my father "Never pass on to someone else what you would not accept yourself” I am proud to say that I have tried to endeavour to live by the words of advice throughout my 45 years of building experience. Owner to provide plans, home specification and engineer report prior to inspecting the property. Payment conditions apply. We will email your tax invoice at the same time as your report and provide you with a day account for payment. Printed reports can be posted at an additional cost of $50 on request. The porch lining over the front door is out of level with the brickwork by 15mm. This is unsightly and should be rectified. 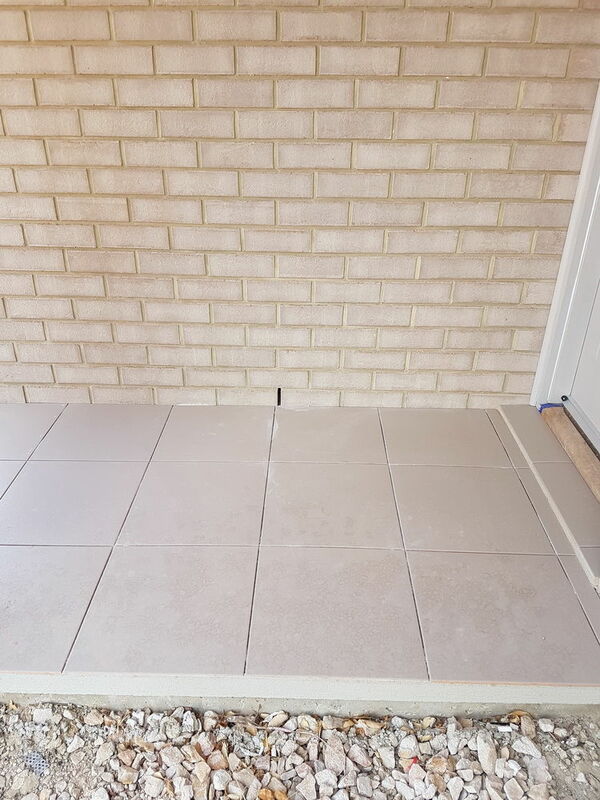 The front porch tiling has been laid above the viscourse line. 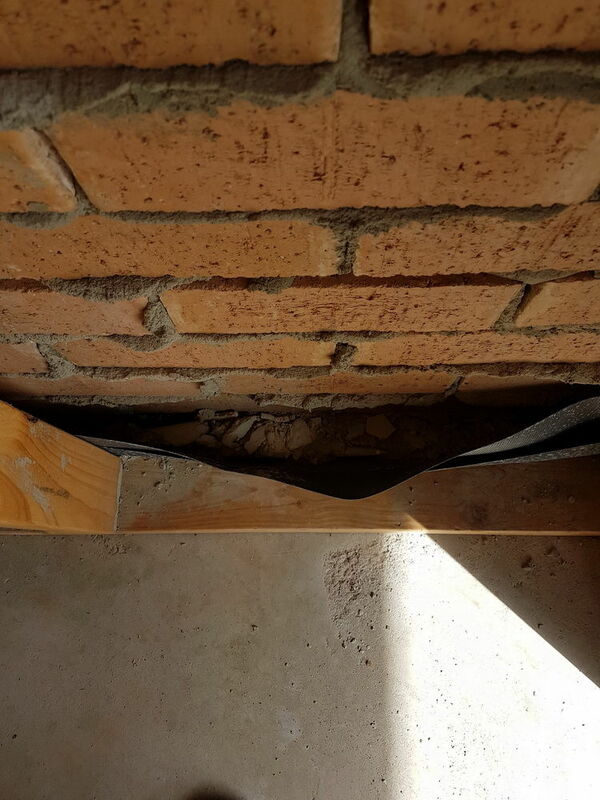 Should the slab or the cement bed crack to the tiling area there is a potential for a white ant attack to the new home. The cavity flashing has not been cleaned out of mortar droppings. The viscourse flashing must be cleaned out to allow any water to escape out the weep holes. 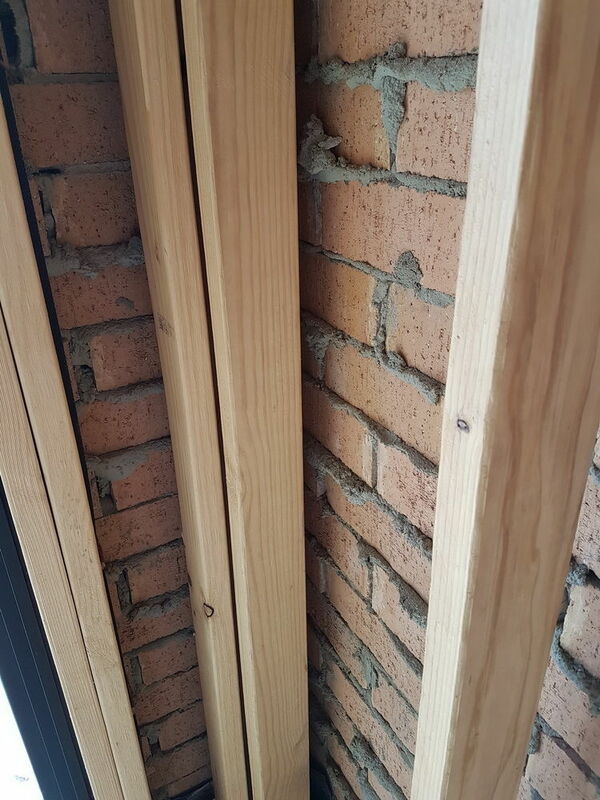 No wall ties have been installed to the timber stud in accordance with (AS). The bottom plate of the wall frame is over hanging the recessed area of the wet areas. This area should be filled with a non-shrink grout. 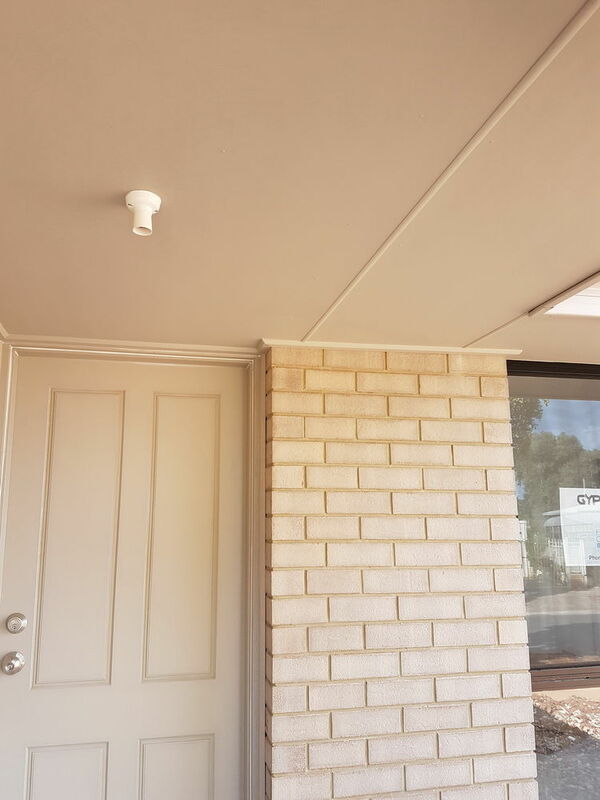 There is no ceiling trimmer installed to the internal corner of the frame to support the ceiling sheet. 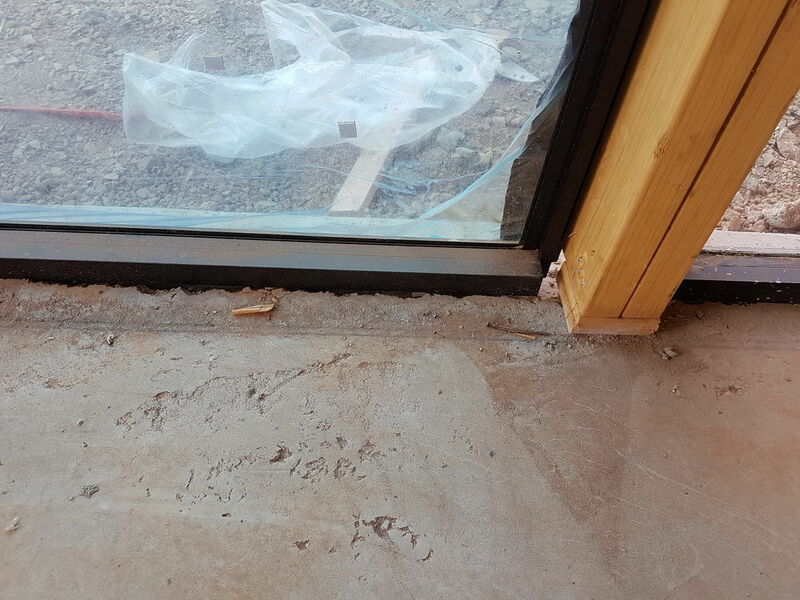 There is no flashing installed under the window to stop water penetrating into the internal floor area. 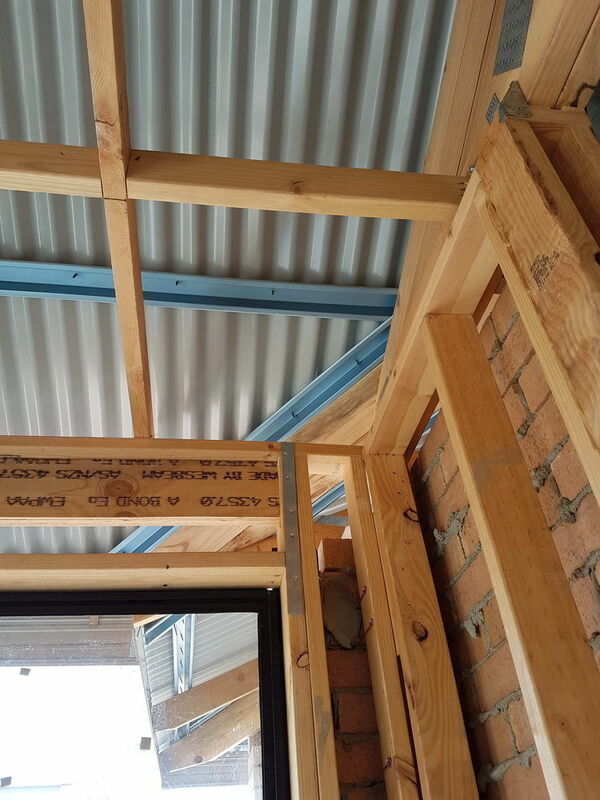 The window frame should be packed with cement packing not timber. 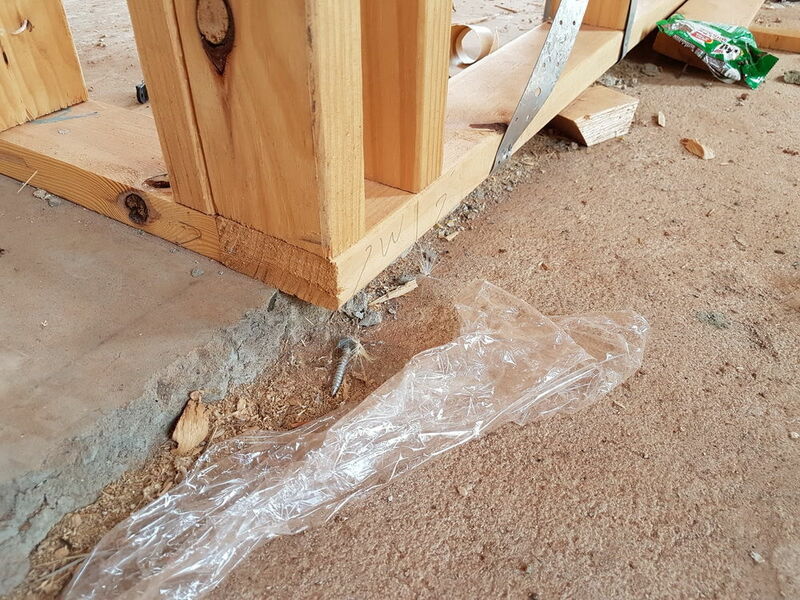 Also a flashing should be installed to stop water penetrating into the internal floor area. This home is only at frame stage and already a shrinkage crack has occurred approx. 800mm long. We believe the crack has occurred due to separation between the two batches of concrete.